My oldest daughter is a swimmer. If you have a child who swims, you’re probably thinking, “poor family.” See, the life of a swimmer, a serious swimmer, means the whole family’s schedule revolves around swimming. I realize now why many family’s put all their kids in swimming. DUH. Just makes sense. My husband and I try very hard to not have our life revolve around one child. After all, with 4 children it’s hard enough sometimes to spend one on one with each kid, let alone when you spend every evening carting your swimmer to practice, and many weekends 6 hours plus at meets. Yeah, it’s that bad, and sometimes worse. But there are good things. For starters, I have a wonderful carpool of families so driving to practice every evening is rotated. She swims about 2-3 hours per night (when you include dryland time), and we each take turns with drop off and pick up…resulting in only have to drive about 3 ways each week. (that’s 1 1/2 days, not bad!!!). Another good thing is the friendships I have made (and of course my daughter too). Swimming is quite social, especially the meets. You spend 6 hours at a meet to watch your child swim 4 events that each run about 2 minutes or less. Yeah. Social. And finally, you realize you need to bring food from home. Good food. After all, you can only eat so much concessions in one weekend. From the time my daughter started swimming she became hooked on having her own “routine.” You know, the thing that psyches you up before a race. 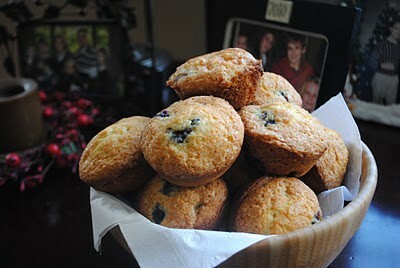 And for her it’s blueberry muffins. 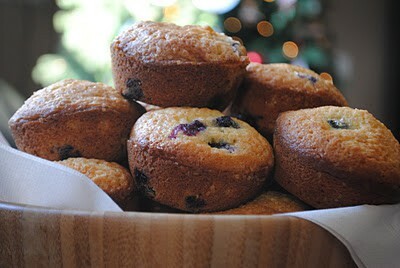 Usually big bakery style blueberry muffins. Like Otis Spunkmeyer! Until I get a jumbo muffin pan, these will have to do. The taste is spot on to what she likes, they just aren’t jumbo. So you get to eat a couple instead! In large mixing bowl, cream butter with sugar until fluffy (about 3 minutes). Add eggs one at a time. Add vanilla. In separate bowl, mix flour with baking soda, salt, baking powder and pudding mix. Alternate adding the dry ingredients with the whole milk (in about 3 additions of each). Fold in blueberries. 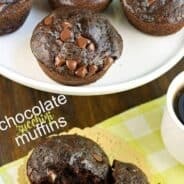 Fill greased muffin cups 3/4 full with batter. Sprinkle tops with coarse sugar. 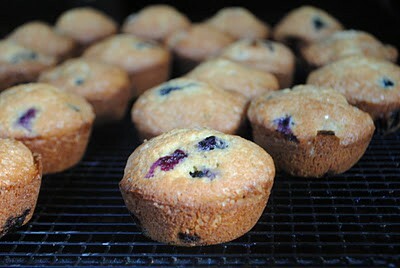 Bake muffins in 350 degree oven for 25-30 minutes. Makes 30 regular sized muffins. Enjoy! I love a little sports routine ritual. My kids just started obsessing over muffins. This is a perfect recipe for me to try out on them. Just need to grab some blueberries. Dying over how many great Christmas cookies and treats you have. I am bookmarking a ton. Happy holidays! Just found your blog via Heather on Twitter! You are talented. Blueberry muffins are timeless! Genius to add pudding to the muffin mix!!! 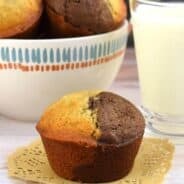 I will have to try these…my kids love muffins for breakfast!!! I was a swimmer back in the day too! And let me tell you, my life revolved around swimming. I could never go to any sleepovers since swim meets were always Sat-Sun or sometimes Thurs-Sun on the big competitions and I could never hang out with my friends after school because of swim practice. I was very resentful of my mom at the time but now I’m glad I went through it all. 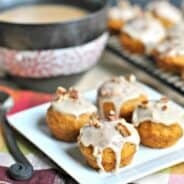 Now these muffins look amazing! I love those plump, juicy blueberries! My daughter is quite funny…we try to talk HER into taking a day off, relaxing, sleeping in, whatever….she hates to miss practice! Crazy Crazy swim life! Blueberry muffins are a classic. I really want to try this!